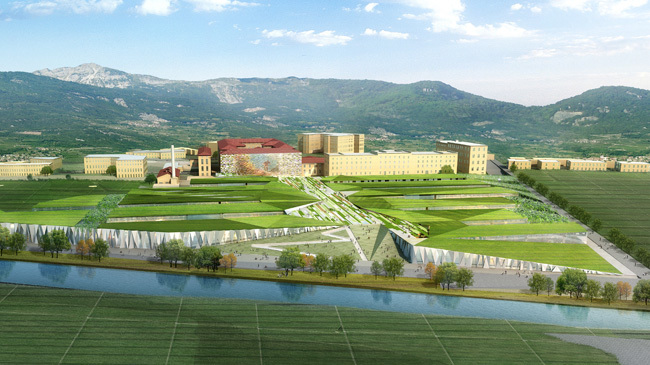 Progetto Manifattura - Green Innovation Factory is transforming a 9-hectare (22-acre) historic tobacco facility into an innovation hub for green building, renewable energy, and environmental technology. The project is the premier green technology partner in Italy, offering turnkey business solutions, a supportive environment, and excellent connections to northeast Italy and Europe. The project is focusing on business development in a framework of a regional strategy to promote climate change accountability. Using business and public strategies in the context of a landmark facility, Manifattura will demonstrate how to reach carbon reduction targets, achieve sustainable growth and adopt responsible behaviors. The location will inspire innovation by offering attractive spaces in historic and new eco-sustainable buildings.